Ambler is a small and beautiful town located in Montgomery County, Pennsylvania. Located very close to North Wales and Blue Bell, this town is a social and cultural hub with shopping, dining, and “walkable” downtown district making this an ideal family community. This town is a vibrant community with churches, great schools, and easy access to public transportation. Located just 16 miles north of Philadelphia, one could easily commute to work in the city or simply travel back and forth to enjoy the nightlife. 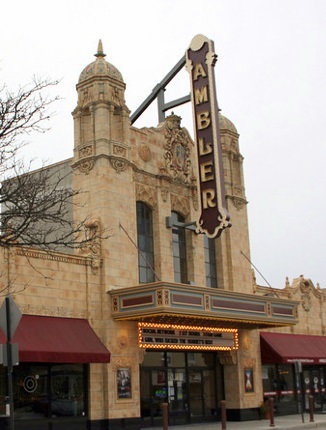 Home to the Ambler Symphony Orchestra and Choral society, this beautiful town is the ideal spot for music lovers and those looking for entertainment options that are close to home. Youth sports are also a mainstay in the hustle and bustle to keep up with all of the available activities. If you are looking to buy or sell a home, please reach out to one of our professional real estate agents. As the top realtor in the area, we are always in the know and can provide that competitive edge that other agencies just can’t compete with. Contact us today or provide your information on the form to the right so that we may reach out to you to determine your needs. This page will be updated with homes for sale, so check back as often as you can.